Old Fashioned are perhaps the simplest well known whisky cocktail - a blend of whisky, sugar, bitters, and typically garnished with citrus peel - often made with bourbon or rye as the base. 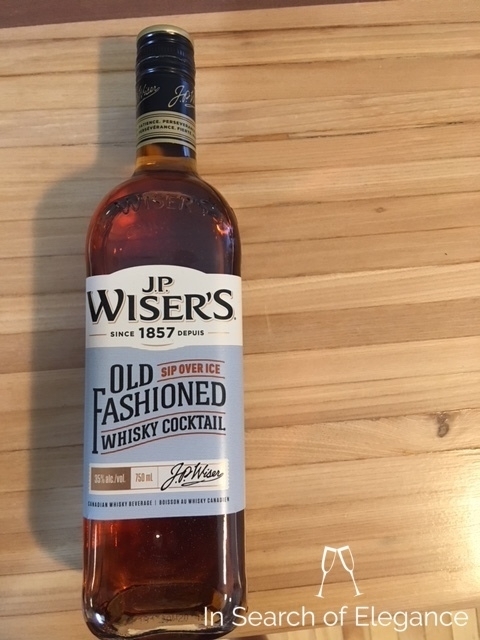 Following BarChef and Still Waters brilliant bottled old fashioned in Ontario, J.P. Wiser's stepped up to the game by blending whisky with orange essence and natural flavor (which includes spices/bitters, based on the taste). It is simple - just pour over ice, perhaps with a citrus peel garnish. It needs some ice, warm and undiluted it isn't balanced and is too sweet - but hits the spot with a nice chunk of ice. I can't help but compare. The BarChef project produced a cocktail which you could serve in a high end cocktail bar, but this is more your standard bar old fashioned (and it's better than many I've had in bars!). But, to that effect, it comes in at a nifty $30, 60% of the price of the BarChef project.